Develop your skills and build your experience — find an exciting opportunity that’s right for you. As a qualified, experienced worker, you’ll want to work for a well-regarded employer. Reliance Offshore has long term relationships with many of the world’s top offshore contractors with employment opportunities on a wide variety of projects on platforms, FPSOs, rigs, barges and vessels in Canada and around the world. By carefully selecting the ideal candidate for each job, we ensure the best possible fit. More than 30 years experience has made us experts at staffing for offshore projects. We’ll manage all of your pre-work assessments and ensure that you’re properly qualified before you join a project. 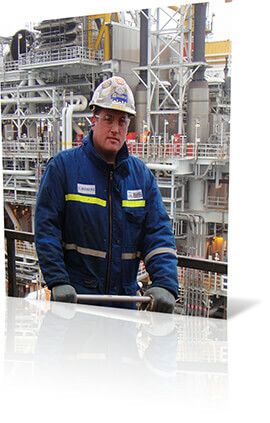 We are committed to ensuring our clients put safety as their top priority. Complete the application form below to be considered for current and future job opportunities. As other positions become available you will be considered for those that meet your qualifications. Please note that at this time we only select personnel from Canada or with Canadian Permanent Residency Visas.